Every chess player wants to improve their game. There are some players, for which improving is extremely difficult. 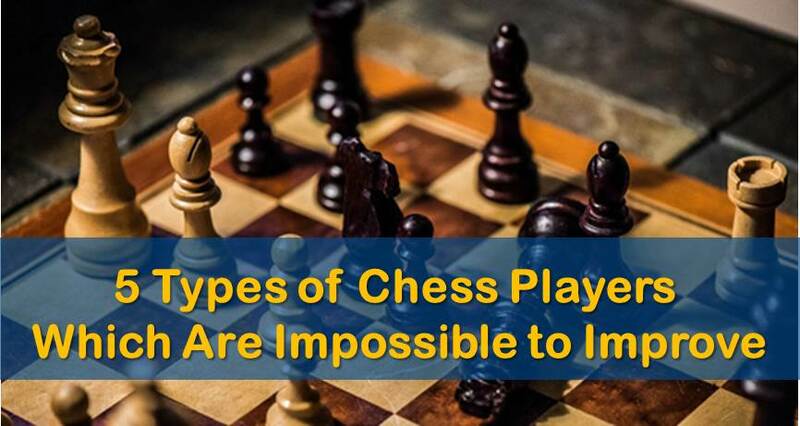 And we’re not talking about those players who hit their rating ceiling, plateaued or physically (or should I say theoretically) are not capable of playing better chess. No, these players cannot improve for completely different reasons. Curious? Read on. This is a very common type of chess players. They are typically under 1400 rated but already think they know everything there is to know about the game. Try explaining to them how to correctly play certain rook endgames, exploit an opposition in the king and pawn endings or play symmetrical middle game structures. They will immediately get offended and say that they already learned the “basics”. They’d be very surprised to know that some of these things cause trouble to players rated 500-600 points higher than them. These players have probably heard things such as “rook endings”, “oppositions” and “symmetric middle games structures”. Maybe they even have faced some of these positions in their games. Do they actually understand how these positions should be played? They pick quantity over quality and that’s a failing approach. The depth of understanding is what makes master a master. If you want to become a substantially better chess player focus on the details. These type of chess players consider themselves great tacticians. If you give them a problem to solve, they would claim that they found that mate-in-5 in no time. Then, when asked to show the solution they will only indicate the first move, and their analysis will end. If you ask them to continue, they’ll start thinking over again. Sometimes, they will simply say that these problems are too easy and request the harder ones. The irony is even though they think the problems are easy, they weren’t able to solve them correctly. Here is an analogy from weightlifting. If your form is wrong you won’t train the muscle, regardless of the number of sets you do. Chess is no different. If you don’t solve the problem completely and correctly, you won’t improve your tactical vision (contrary to popular belief). 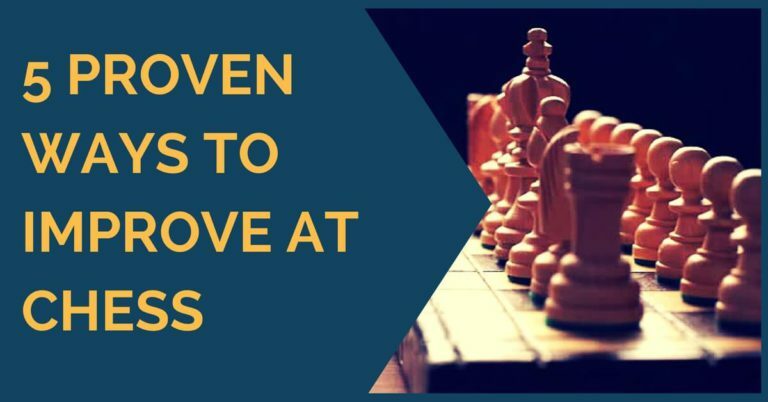 The point of solving tactics is NOT to simply indicate the first move. The point is to analyses the position thoroughly; find the main line and multiple sub-variations with correct responses from both sides. Only that kind of tactics solving will help your chess. The rest is just an illusion of training. It is much better to get one problem done correctly, rather than to partially solve 5. You cannot partially checkmate your opponent over-the-board, can you? These chess players don’t even believe that they are capable of improving at chess in the first place. If you tell them exactly what to and how to do it, they still will doubt they will get any better. Any book, video course, and method of training will be faced with “that doesn’t work for me” before even trying it out approach. If you don’t believe in yourself, even Garry Kasparov himself won’t be able to make you a better player. But, if you do, you will be able to progress much faster and with the right training and passion reach the level you never dreamed possible. 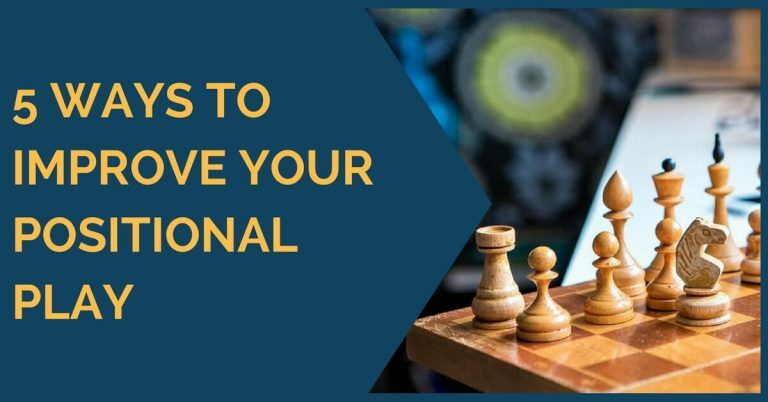 Self-confidence and ability to picture yourself as a stronger chess player capable of winning a game after games paired with the right kind of training will definitely yield serious results. These are typically the older chess players who played the game for 20-30-40 years and think that they know everything about the game and training methods. When looking at their games you see that they have serious flaws in opening preparation, middle game understanding, and the endgame skills. But don’t even bother telling them about it, offering help or suggesting a good read. They will look at you with a smirk on their face and tell you that they’ve been playing chess before you were born and know a lot more about this stuff. Needless to say, they won’t get better any time soon. Little do they know that if they simply adjust their attitude and stop being repulsive, they could easily move up from 1200-1300 to 1800-1900. We have helped many older chess players improving at chess and becoming much stronger players. That’s not about age, it’s all about the attitude and accepting what’s offered. This is also a very common type of chess players. They think they know how to train, spend time working on chess but don’t see much progress. If you’ve been doing something for many months or years and saw only a minuscule improvement, the chances are it won’t change if you don’t make changes in your training. That is, you won’t see much more improvement than you already saw. This brings us to one VERY VERY IMPORTANT POINT. Many chess players think that in order to pick up 200-300 rating points they need to do everything they are doing to pick up 20-30 points multiplied by 10 or they need to add 100 other things to do. In fact, the opposite is true. 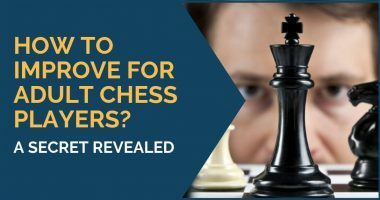 Most chess players see the most results from only 3-4 things they do. If anyone tells you the opposite, don’t listen to them (even if it is me). That’s why in each day of our training course we only focus on 3-4 very important things, ignoring all other non-sense. That brings the results. Fast. Find out for yourself! Start chess training today.